Arthur J. Horne Jr., the President and Managing Partner of Shipley & Horne, P.A., has been practicing law for more than 25 years. He is admitted to practice in both the Federal and State trial courts and appellate courts in Maryland and the District of Columbia, as well as the United States Supreme Court. His bar association memberships include the Federal Bar Association, Maryland State Bar Association, District of Columbia Bar Association, Prince George’s County Bar Association and the J. Franklyn Bourne Bar Association, serving in leadership positions in all. Mr. Horne represents and counsels clients in the areas of business, civil, corporate, estate, real estate, government and land use. He represents clients in the Federal Courts and State District and Circuit Courts in Maryland, and in the Superior Court in Washington, D.C., as well as before administrative and legislative boards in both jurisdictions. Clients range from small businesses to Fortune 500 companies, as well as nonprofit corporations and community individuals. A zealous advocate for companies and individuals in the private sector, Mr. Horne also served as General Counsel to both the Prince George’s County Housing Authority and the Prince George’s County Revenue Authority, advising both agencies in dozens of multimillion dollar transactions. Additionally, he serves as the Court Auditor for the Circuit Court for Prince George’s County, Maryland. Mr. Horne served as a mediator for more than 10 years in the Superior Court for the District of Columbia and currently serves as a coordinator in the Alternative Dispute Resolution Program for the District Court of Maryland. 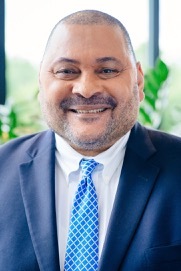 He is Chairman of the Maryland Property Review Board; Counsel to Financial Service Corporation First and is also a member of the Leadership Greater Washington, Class of 1998. Well respected in the legal community, several of Mr. Horne’s public appointments have included Maryland State Trial Courts Judicial Nominating Committee; Maryland State Board of Law Examiners-Grading Assistant; Character Committee of the Court of Appeals of Maryland, Seventh Judicial Circuit; and the Maryland State Attorney Grievance Commission. Mr. Horne has received numerous honors and recognitions for his work and commitment to excellence. He was recognized by the Washington Business Journal in 2010 as one of the Top Minority Business Leaders in the Washington D.C. region, and was also recognized by the Maryland Daily Record as a 2010 Leadership in Law award recipient. Additionally, he currently serves as the Alter Ego for a United States District Court Judge and a Maryland State Circuit Court Judge. Extremely dedicated to serving his community, Mr. Horne has given a great deal of civic, professional and community service to such organizations as the American Red Cross, YMCA, Bishop McNamara High School and various homeowners associations, to name a few. As a result of his community work, Mr. Horne has been honored on numerous occasions and has been named a Living Legend of Maryland Attorneys by the Associated Black Charities; a NAACP Image Award Winner for Legal Service; Prince Georgian of the Year; and a United Way Service Award Winner.